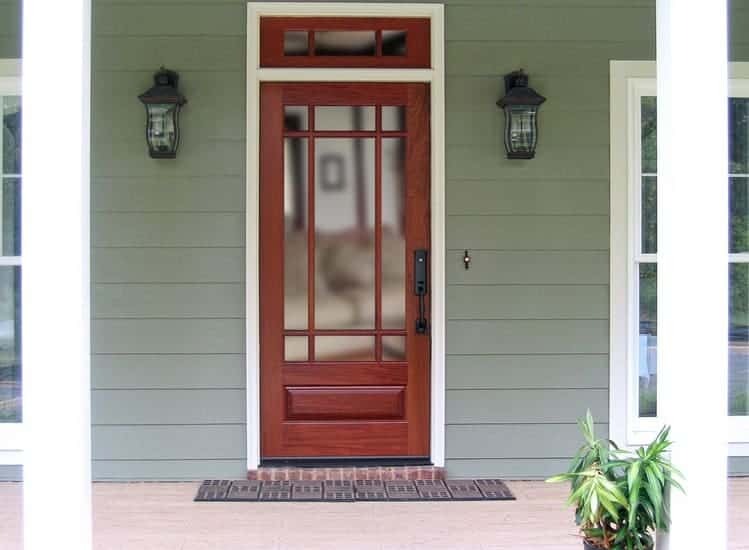 This very popular 36″ X 80″ Craftsman Exterior Front Entry 9 Lite TDL (True Divided Lite) door is shown in Honduran Mahogany, with Clear Beveled Glass. 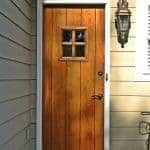 This particular unit is shown with a 12″ Mahogany Transom. The Baldwin Tahoe Hardware this customer has chosen is a fitting compliment to this unit.